Cockadoodledoo! It's time to rise and shine with Lucky Rooster, a Slots Baby 5 reel, 1, 024 ways to win slot by High 5 Games. Come and join the Chinese New Year celebrations with Lucky Rooster one of our online casino games. The celebrations begin with eating lots of delicious Chinese food and ends in taking part in dragon dances and opening exciting red envelopes filled with cash. The oriental design of this slot is beautiful and intricate and the scatter bucks feature and free games bonus feature provides a wealth of entertainment. This High 5 Games slot celebrates the year of the rooster which according to the traditional Chinese zodiac, is filled with intelligence and confidence. Let's put some of the Lucky Rooster's confidence into action and have faith with every spin! Lucky Rooster is a 5 reel, 1, 024 ways to win slot with a Chinese New Year theme available here on SBaby. It's the year of the rooster in this High 5 Games slot; let's hope the luck and confidence of the rooster bring lots of exciting wins. Lucky Rooster has a very simple design and a magical oriental soundtrack that goes perfectly with the theme. Behind the reels, you'll find a deep red diamond wallpaper. Symbols include a lucky golden cat, rooster, and fortune cookie, as well as Chinese style playing card suits. The Wild Symbol - The wild symbol in Lucky Rooster is the rooster. The rooster replaces all other symbols on the reel to form winning combinations. It can only appear on reels 2, 3, 4, and 5. Scatter Bucks Feature - Every wild will have a credit value attached. This can be anywhere between 80 and 4000 credits. All prizes during this feature will be awarded at the end. Free Games Bonus Feature - Landing 3 or more bonus symbols anywhere on the reels will unlock the free games bonus feature. Landing 3 bonus symbols will award you 7 free games, landing 4 bonus symbols will give you 15 free games, and landing 5 bonus symbols will grant you 30 free games. 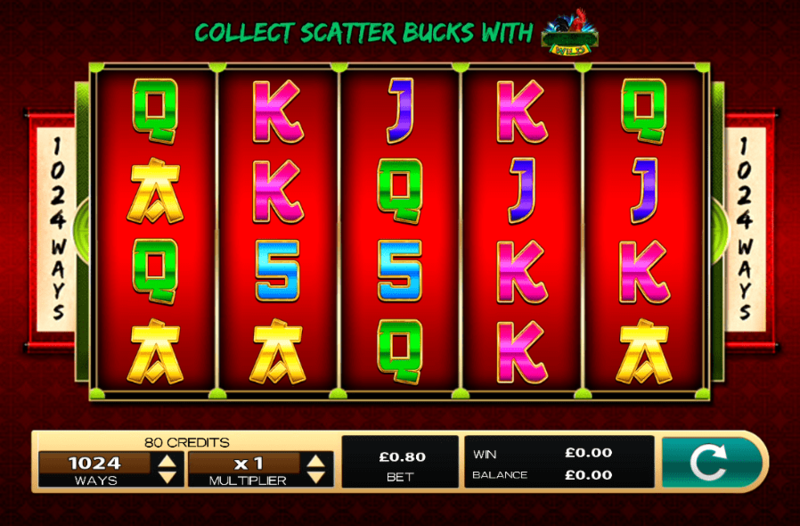 If you enjoy oriental-themed slots and the best online account games, you'll like Lucky Rooster. 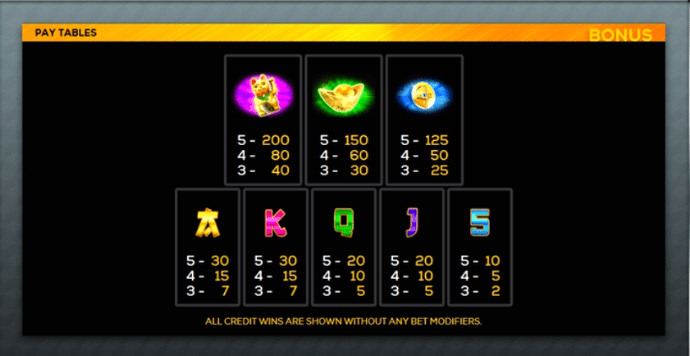 This High 5 Games slot provides top entertainment, straightforward gameplay, and plenty of lucky prizes. The calming oriental soundtrack also goes perfectly with the Chinese New Year theme. Make sure to look out for the lucky wild roosters as these can pay great prizes of up to 4, 000x your total stake.